Is Your Pet Ready for New Years Eve? 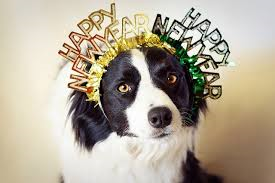 Celebrating New Year’s Eve is a great tradition but it is one of our busiest nights for lost/stray pets. 1. Have you microchipped your pet? 3. Are your contact details are up-to-date with the National Pet Register? By doing these 3 things it will give you and your pet the best chance of being reunited in the event they become lost. 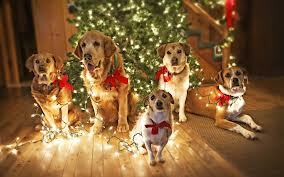 Dogs & Cat’s love tinsel, bubbles, flashing lights they see it as a “toy” to play with or carry in their mouths. But a nibble can lead to a swallow and hence lead to an obstructed digestive tract, severe vomiting, dehydration and possible surgery. make sure your Christmas tree is safely secured to the ground and cannot easily topple. put decorations up high where your pets can’t get them. use a mixture of lemon or orange extract and water in a spray bottle. (Most cats and dogs do not like citrus and will avoid). edible treats on your Christmas tree such as candy canes or chocolate may be attractive to your pet and harmful if consumed. Animal Accident & Emergency is open 24 hours 7 days a week, Melbourne Pet Emergency Centre.